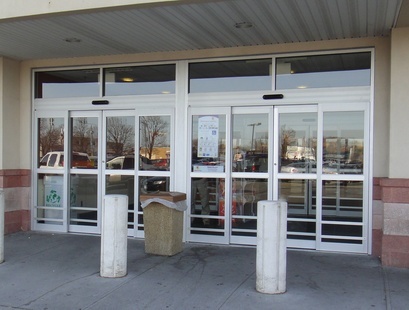 The Doortronix Revolution is an Automatic Sliding Door that's different from the rest of the pack. Our competitors' doors are hung with wheels on a track. Like trains on a track, they are liable to become de-railed. Ask anyone responsible for maintenance of automatic sliders and they will all tell you the same thing. "My doors come off track and when they do, I can't move them to get them opened or closed to secure the entrance". This results in costly emergency service calls. The underlying cause of this, is inherent in the "wheel on track" design. Our Doortronix Revolution Sliders are hung with encased bearings on a 1" steel rod. Our "rod and bearing" hanging system makes it impossible for our doors to come off track because there is no track! You will never place a service request for a "door off rack". But we weren't satisfied with this cost cutting feature alone. Our sliding door is built with a host of other design features that keep maintenance costs down. Full height extruded interlocks instead of the inferior "hook and void" type, simple "pin style" bottom guides instead of expensive failure prone "wheel and axle" types, our fail proof magnetic holders instead of troublesome ball-catches to keep slide panels and sidelights closed all help keep costs under control. 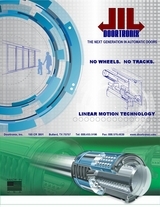 Click on our brochure for more info about the Doortronix Revolution.